Maria Butina, a former graduate student at American University in Washington, D.C. and alleged Russian agent, has begun to cooperate with federal prosecutors, a new court filing shows. Butina’s legal team implied that she is preparing to plead guilty to the charges against her. 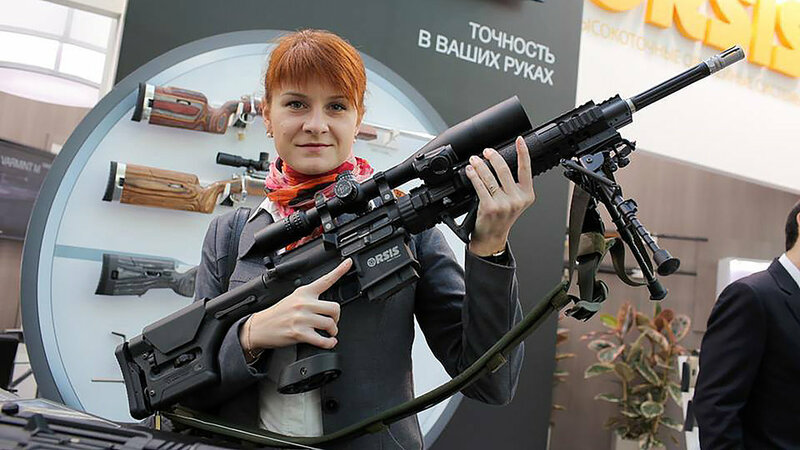 Butina is accused of attempting to influence the 2016 presidential election by forming close ties with conservative activists and the National Rifle Association (NRA). She has been in prison since July. Federal prosecutors say Butina was working at the direct behest of the Kremlin to push Russian foreign policy goals in Washington. Butina also facilitated a meeting between her alleged Russian government handler and Donald Trump, Jr. at a May 2016 NRA convention. Newly inaugurated Mexican President Andres Manuel Lopez Obrador, commonly known as AMLO, said on December 9 that the government will award a contract to build the country’s seventh oil refinery as early as March 2019. The refinery project, which is estimated to be worth about $8 billion, will be capable of processing 340,000 barrels of crude oil a day, making it Mexico’s largest such refinery. The announcement came despite a 14-year decline in oil production in the country. AMLO said the refinery will be linked by pipeline to the Dos Bocas maritime terminal, allowing for easy transport around the country or international export. Chinese officials launched a coordinated raid targeting members of the Early Rain Covenant Church in Chengdu late on December 9, arresting over 100 members. The Christian church, which is not officially authorized by the government, is one of the highest profile in China, often posting videos of its sermons online. The government blocked the social media accounts and cut telephone service for church members at 9:00 PM before raiding the church premises and the homes of several of its members, including celebrity pastor Wang Yi. European Union High Representative for Foreign Affairs and Security Policy Federica Mogherini has said that the EU will establish a financial workaround with Iran by the end of the year that will allow European businesses to circumvent reimposed U.S. sanctions on the country. The new mechanism will facilitate non-dollar transactions that do not fall under the jurisdiction of American regulators. The U.S. reimposed sanctions on Iran after President Donald Trump withdrew from a nuclear deal with Iran in May. Mogherini’s announcement confirms the timeline for operation of the special purpose vehicle (SPV), which Iran and the EU jointly announced on September 24. The Russian Ministry of Defense said on December 10 that it has deployed two Tu-160 bombers at Maiquetia airfield outside Caracas, Venezuela. The Tu-160, code-named Blackjack by NATO, is capable of carrying nuclear-tipped cruise missiles with a more than 3,000 mile range. Embattled Venezuelan President Nicolas Maduro concluded a state visit to Moscow just last week, and analysts say the bomber deployment signals continued strength in Russian-Venezuelan relations. Venezuela is currently dealing with political unrest amid a cratering economy and relies on Russian political support and Chinese economic support. 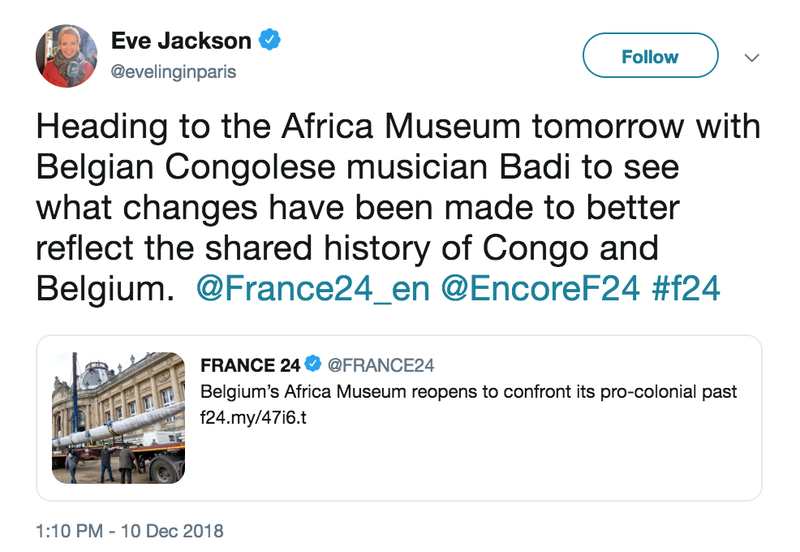 The director of Belgium’s newly reopened Africa Museum will consider a request from the Democratic Republic of Congo to repatriate illegally-acquired works, he announced. The museum originated as King Leopold II’s Colonial Palace but reopened on December 9 after a five-year renovation to “decolonise” its portrayal of Africa. Leopold, and then the Belgian state, ruled Congo until its independence in 1960. Writing contributed by Abigail Adams-Spiers.